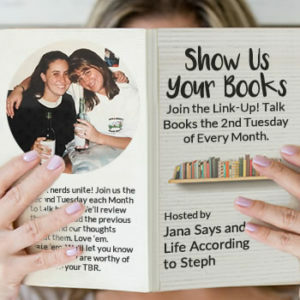 I’m here today with Steph and Jana of Show Us Your Books to talk about my Top Favorite Books of 2018. If you have a similar post, feel free to link up with us! We still have a little less than a week to get some reading in, hence the (So Far) in the above title. I might read an amazing book in that time – you never know! In order to determine my top favorites, I went through Goodreads and found all the books I gave 5 stars to! Fatal Throne by Candace Fleming, etc. I will tell you now that you’ll see a lot of V.E. 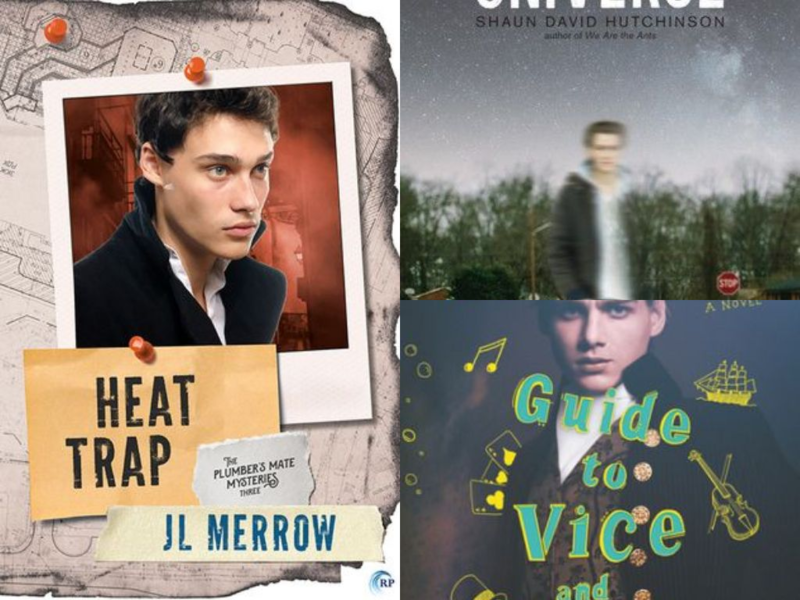 Schwab on this entire list – three books in fact! There are also some amazing m/m romance if you’re interested – Sink or Swim and Craft Brew above. Fatal Throne is wonderful if you are interested in King Henry VIII, and Liar Liar is part of a mystery series I ADORE! There’s that third V.E. Schwab book! There are also two Barry Lyga books – such a good series! 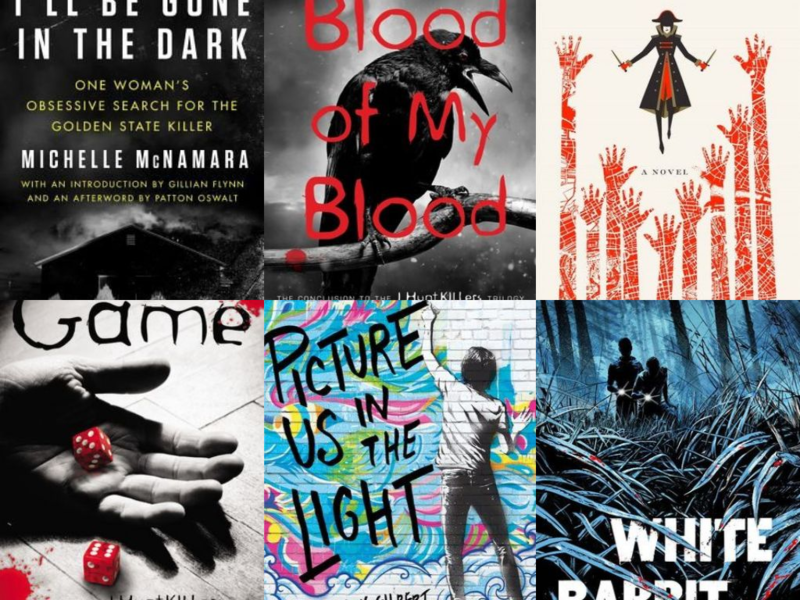 I’m a big fan of true crime, so I loved I’ll Be Gone in the Dark, and White Rabbit is a YA mystery with LGBT+ characters. Picture Us in the Light was dubbed one of my new favorite books, so I do recommend!! And finally, we end with three LGBT+ books. Heat Trap is part of a mystery series. At The Edge of the Universe is such an amazing, unique YA novel that I highly recommend. And finally, The Gentlemen’s Guide to Vice and Virtue is a historical fiction novel full of mystery and laughs. You can’t read it and not love Monty a little bit. There you have it – all the books I gave 5 stars to in 2018. Yes, I’m a tad liberal with my 5-stars, but that doesn’t mean I didn’t absolutely LOVE every single one of these. Now it’s your turn – what books did you love in 2018? I’m glad you had so many books you enjoyed this year! I wish you similarly awesome reads in 2019!! Ronnie @ Paradise Found recently posted: Christmas is here! Great list! I loved A Gentleman’s Guide and A Conjuring of Light too and several of your other picks are on my TBR. I’ve still only read one book by Schwab. I LOVED it, so I don’t know what I’ve been waiting for. I need to get to the others!! 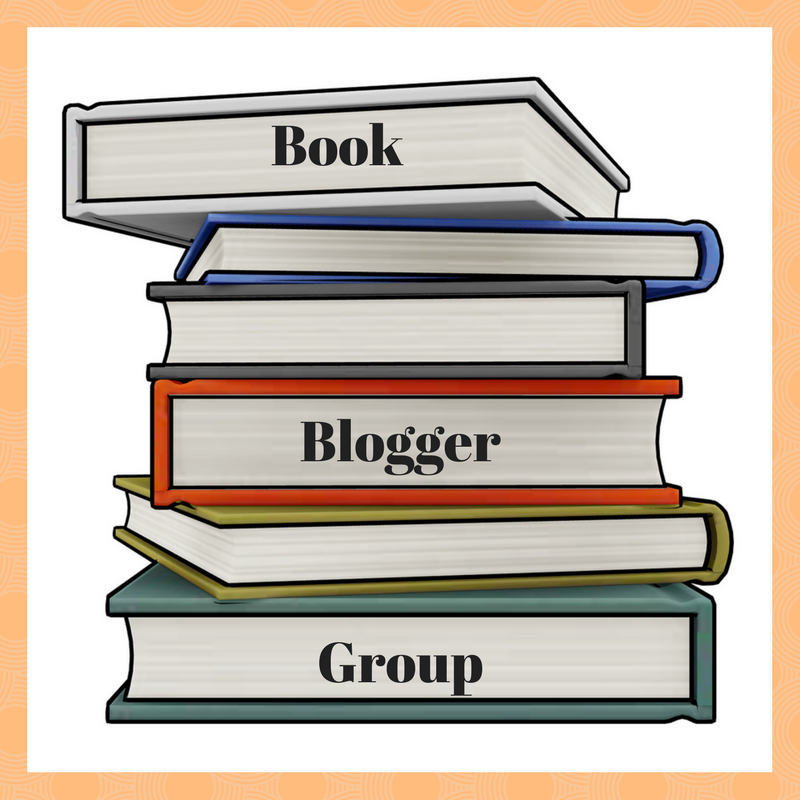 Nicole @ Feed Your Fiction Addiction recently posted: My (Everlasting) Quest to Catch Up on Review Books. Let’s Discuss. What a great list! I always love your reviews because we read so differently, yet I always feel inspired to try something new. I gave my husband I’ll Be Gone in the Dark for Christmas since he loves true crime, so I’m glad to hear it was one of your favorites! So, is V.E. Schwab the same person as Victoria Schwab? Because I tried reading The Near Witch, but could not get into it. But I hate not trying all these other books that everyone loves. I also need to read the Gentlemen’s Guide to Vice and Virtue! Great list! I feel like the lone wolf not on the V.E. Schwab bandwagon. LOL But her books have just never grabbed my attention and made me want to read them. The Gentleman’s Guide was so much fun! I just adored Monty and Percy and would love to have more about them. I haven’t read any of the books on your list, unfortunately, though I’m interested in Fatal Throne. My favorites for 2018 include Bring Me Their Hearts, #murdertrending and American Panda. I definitely need to find some new books to read next year!! It’s been fun seeing everyone’s favorite book lists today! I’m hoping I have a bigger list of read books next year to have enough worth making a post for. I did a lot more reading this year though so I’m happy with that! I’m glad you enjoyed so many books this year! I haven’t read any of these, but I remember reading I Hunt Killers. I might have to reread that, so I can read the rest of the series! I definitely need to get on the Schwab train everyone is loving them! Great List! I really want to read the Michelle McNamara book. Thank you for making such a great list… I have added a number of these books to my amazon list… Thank you! I haven’t read any of these but they definitely seem like good picks! now i have a new list of books to discover! White Rabbit is one I remember thinking sounded good! I’ll Be Gone in the Dark is on my list, too. Other than that, I don’t know any of the books on your list and that makes me quite happy. I don’t think I’ve seen the cover for Picture Us in the Light. I love it. I’m making my list now and I read Vicious when it came out but I loved that one too. I need the sequel. And I still need to read Picture Us int he Light. Great list. I’ll Be Gone in the Dark made my favorites list this year as well. I’m glad you had so many 5 star reads this year. Unbelievably I have not actually read any of these! A Conjuring of Light has been on my tbr list forever. Apparently Fatal Throne is also on my tbr list. It sounds great! You were definitely loving V.E. Schwab this year! I’ve heard good things about all her books, and about a few of the m/m books on your list. You’re allowed to 5-star as many books as you want, and I’m glad you found so many that you loved! I haven’t compiled my Best of 2018 list yet but The Gentleman’s Guide to Vice and Virtue is one that’ll be on my list of books I wish I’d read this year… Maybe in 2019! I’ve only read I’ll Be Gone the Dark and liked it. I have White Rabbit and need to bump it up now. You read so much more than me! These all sound like great books and I’m sure worthy of 5 stars! I usually do 4 stars, but when I do 5 the book knocked my socks off! wow, 3 V.E. Schwab books! I’m quite sure that means I have to read all of her books in my shelf this year! Especially A Darker Shade of Magic since I heard that the entire series is great (and seeing that you have 2 of them on your list). What books did I love in 2018? The Seven Husbands of Evelyn Hugo, Britt-Marie Was Here, and The Great Alone. As far as 5-star ratings go, I only bestowed that honor on two books – The Seven Husbands… and Ready Player One (which was a re-read). YESSS! Great list! I loved I’ll Be Gone In The Dark as well! Oooo, what a good list! I totally have been looking for some new books to read so this was perfect timing! FATAL THRONE! I always get so excited to see your Fatal Throne love- it will be on my favorites list, too! So, confession: I think Schwab and I might not be good for each other? Like I *like* her books, I don’t *love* her books? Which is sad for me because ugh, the premises are incredible! I’ll keep trying though! Glad you read so many awesome books this year! Shannon @ It Starts at Midnight recently posted: Merry Christmas! I have only read two books from your list. I have so much work to do! The Barry Lyga books were very well done. I haven’t read any of these, but I will definitely add them to the list!! Great list, I haven’t read any of those listed. Maybe I can add some to my 2019 reading list. I loved The Gentleman’s Guide to Vice and Virtue. If you get the chance to listen to the audio version grab it, Christian Coulson is an amazing narrator. Woo-hoo and quite the list! Where did 2018 go? How can it already be time for 2019? Alright, here we goooo!!!! I am ready for 2019!! woohoo. I still really need to read Vicious! I finally read A Darker Shade of Magic this year. I’m off to look up Liar Liar and White Rabbit! herding cats recently posted: Best Books of 2018! V.E. Schwab is killing it! I haven’t read these, but I am reading her Shades of Magic The Steel Prince comic that she’s writing. It’s been amazing so far! Boom! is publishing it, so you if you enjoy her books, you might like her comic. It gives her words images and I love it. Oooh, I have White Rabbit on my TBR, so I can’t wait to read it now! I also want to try a Layla Reyne book. I’ll be Gone in the Dark was a highlight this year too — and Barry Lyga! I am such a fan of Jazz and his I hunt killers series! Looks like it was a good reading year! Looks like a great reading year for you. I’m a bit liberal with my stars too, at least compared to some other bloggers I know, but I’m okay with that. 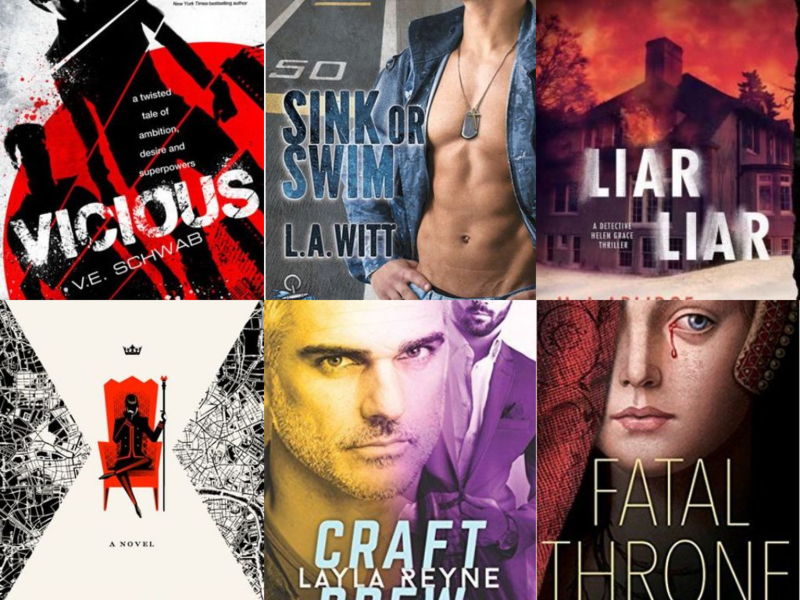 And I’m working on my top reads of 2018 list for a Top Ten Tuesday post on the first right now. I really love “A Gathering of Shadows” when I read it last year, but when I tried to read “A Conjuring of Light”, I was pregnant at the time and just so preoccupied with everything that had to do with the baby, so it was basically DNF’d this year. I’m going to try it again in 2019! I also really enjoyed “The Gentleman’s Guide to Vice and Virtue”! Can’t wait to read the sequel! Yay! Great list! I’m hoping to finally read V.E. Schwab this next year. Happy New Year! LOL, I just realized I’m telling you great list twice… 🙂 But I just purchased V.E. Schwab since visiting you last! I’ve still not read any V E Schwab but I absolutely adore the cover art. Gorgeous style! Maybe 2019 will be the year I splurge on them all?! I really need to read Schwab’s series. I have the first book I just need to find the time. Great list, Lauren! YAY for Picture Us in the Light! I’m so glad you love that book, as well. I wish it got so much more love than it does because it is so deserving! I hope you read just as many amazing books this year, Lauren!